Chelsea is an amazing neighborhood to gather family and friends for your special day. We also have a beautiful private dining room, that overlooks our private garden, that can host your reception as well! 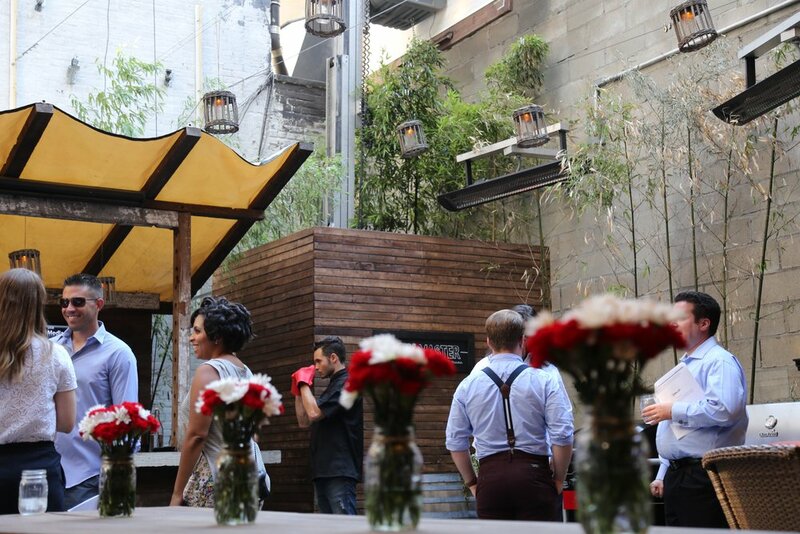 Our garden space is intimate, bright and the perfect place for a small weddings. It is luxuriously equipped with a sail like retractable roof. space heaters and hanging lanterns. Death Ave caters to special events seven days a week, for breakfast, lunch, and dinner.